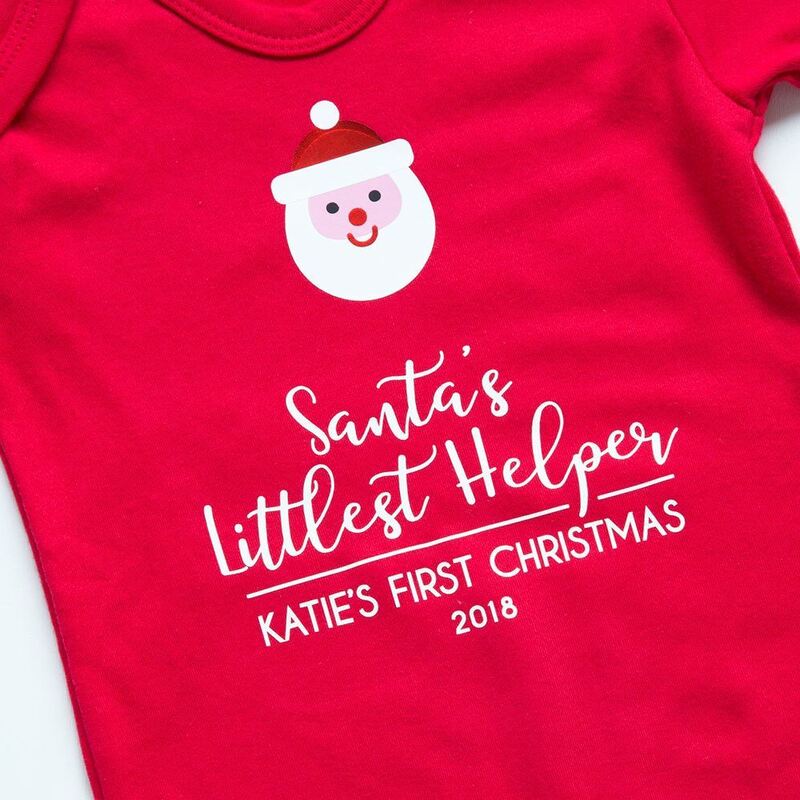 Perfect for celebrating your child's first Christmas, dress them in our first Christmas bodysuit which is personalised with their name and the year, making it an ideal keepsake. Perfect for celebrating your child's first Christmas, dress them in our first Christmas bodysuit which is personalised with their name and the year, making it an ideal keepsake. It is finished with a cute Santa's face.